Louvre is one of the world's largest as well as the world's most visited museum with more than 8 million visitors each year. The museum is also famous for displaying the best known, the best known and most written about work of art in the world -Mona Lisa. The Eiffel Tower is without a doubt, the number one landmark In France and one of the most famous structures in the whole world. You couldn't possibly visit Paris without seeing this modern wonder of the world. What's more? 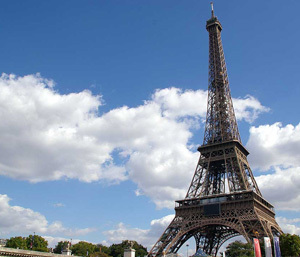 A visit to its third level offers the viewer the most amazing panoramic view of the City of Paris! Touching 3,238 m, Mount Titlis is one of the most famous and beautiful mountains which constitute the Swiss Alps. It is also famous as the site of the world's first revolving cable car-Titlis Rotair. This aerial cable car ride to the summit of Mt. Titlis offers a breathtaking views of the peaks and glaciers of the alps.